Harare - The city council is considering renaming Harare Gardens to Oliver Mtukudzi Gardens, while 3rd Street will be christened Morgan Tsvangirai Street. Previous attempts to give a similar honour to the political icon have hit a brick wall, though his immense contribution is undoubted. The mayor of Harare, Herbert Gomba said on twitter that city councilors in serious discussions to name. He later sought residents' views. And people are speaking out their minds. Kudakwashe Manyanga‏ @Kpmanyanga: To be honest they are doing their best it's really improving. Muchengeti Zhou‏ @muchengeti_zhou: Yes to that, Save and tuku are heroes, its better name streets after them rather than naming after zanu pf killers like Mugabe and crew. Vitz11‏ @vitalisvictor: Find something new to name after these heroes ....it’s not all bout changing what is there .kasi the city is not developing kani ?new settlements are sprouting hey ,name then after then .live other things as it is . 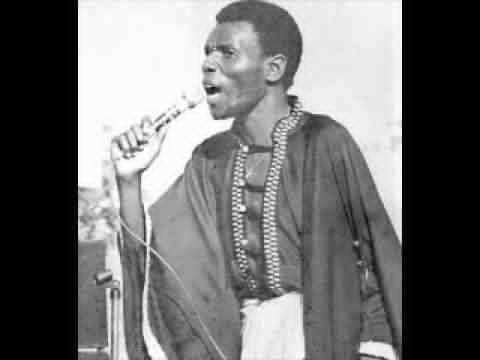 Mashiri Zvarimwa‏ @D_GlobalCitizen: Great idea, I suggest even erecting a huge statue of Tuku in the middle of the Harare gardens. 3rd street is too 'obscured ' for Morgan Tsvangirai's level, find another street.